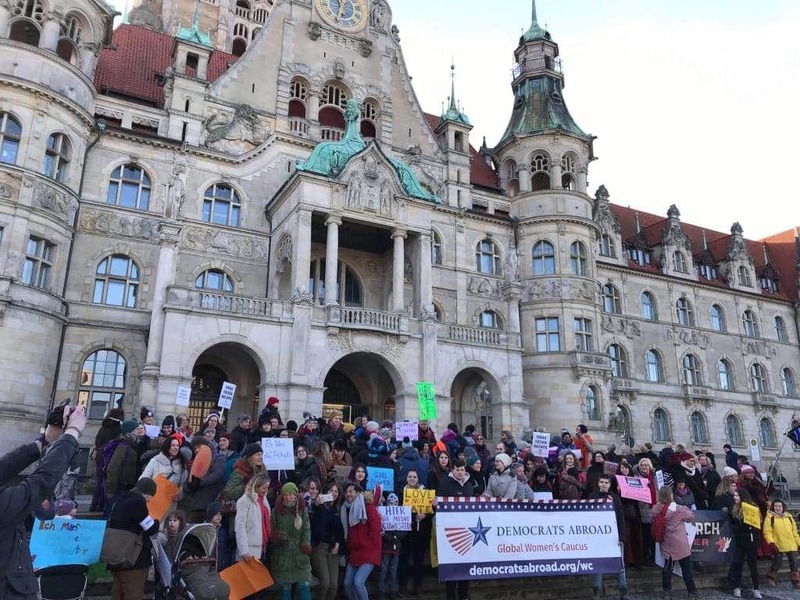 Hannover's Women's March a Success! Approximately 200 people came out for the first-ever Women’s March on January 19. Congratulations to the new Hannover Precinct on its first public event! The March was in support of women’s rights, as well as equal rights for all people. 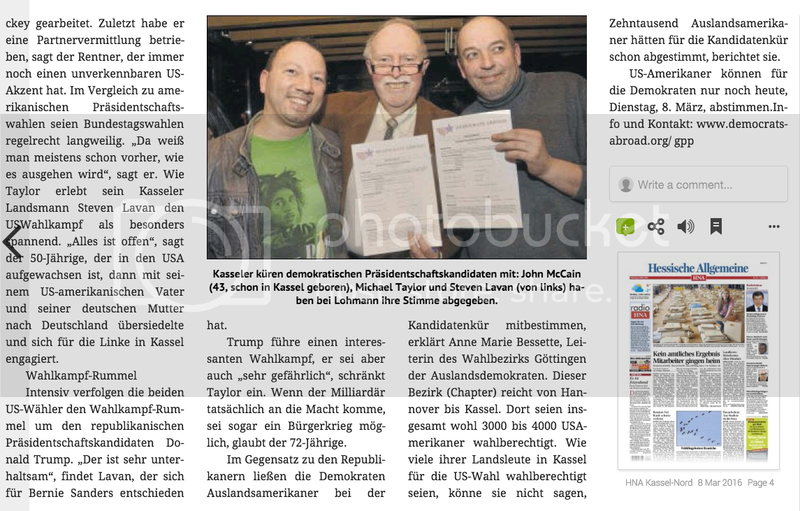 Thanks to the Hannoverisch Allgemeine for the coverage and more great pictures HERE. Many thanks to those who have been meeting in Hannover over the past couple years. 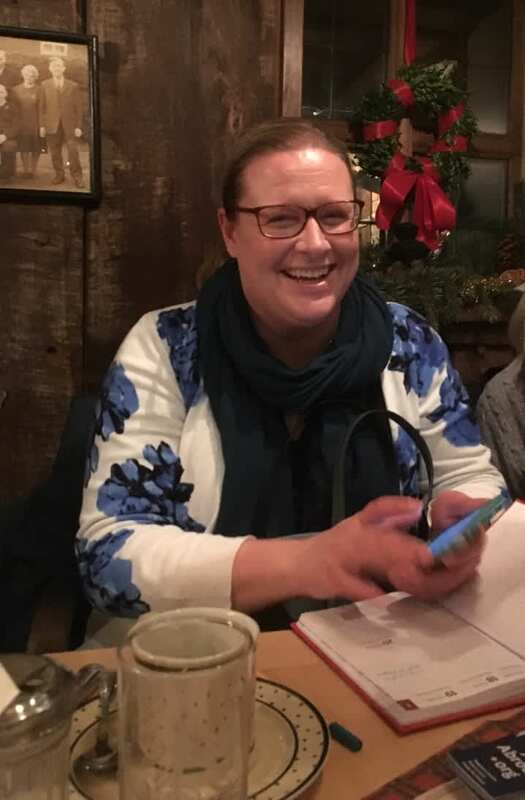 At a smaller gathering in December we celebrated Hannover becoming an official precinct thanks to Jennifer von Estorff, becoming its first precinct captain! 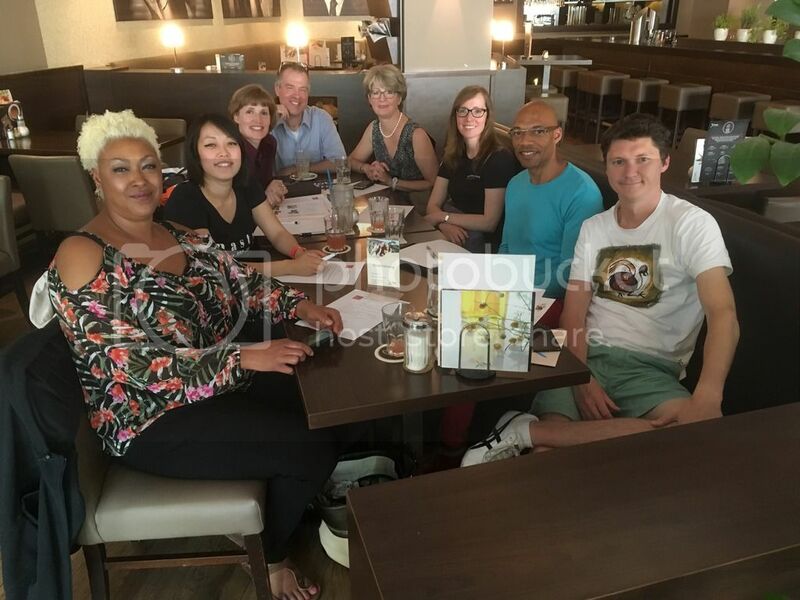 A new volunteer to DA Germany, Jennifer jumped in as a leader to plan the Women's March. Thanks Jennifer for your energy, and willingness to serve! NEW BRAUNSCHWEIG PRECINCT UP and RUNNING! 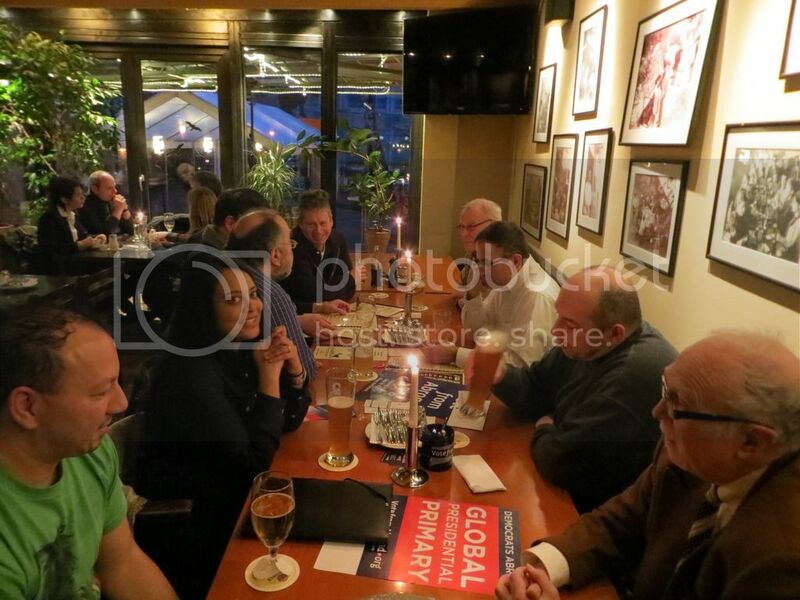 The Göttingen Area Chapter welcomes a new precinct in Braunschweig - its first meeting was held Saturday, June 17. Congratulations to Co-Captains Kenton Barnes and Kim Täger for kicking off this endeavor. Kenton is a professor at the Technical University of Braunschweig in the Department of English and American Studies and Department of Literary and Cultural Studies. He is also the new Germany coordinator for the LGBT Caucus. 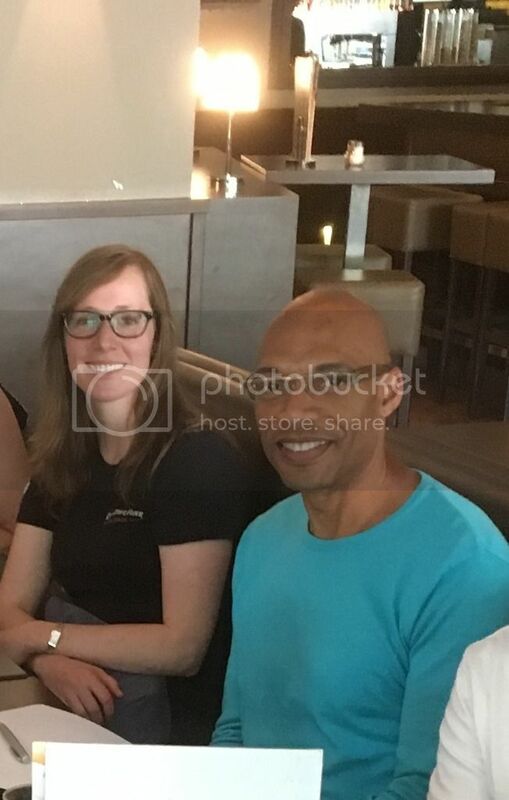 Kim is a Research Assistant at the Technical University Braunschweig in the Institute of English and American Studies for the Department of English Language and Didactics. A warm welcome to this dynamic duo! A first activity will be hosting a booth for the Sommerlochfestival on Saturday, July 29, 10 AM - 8 PM. 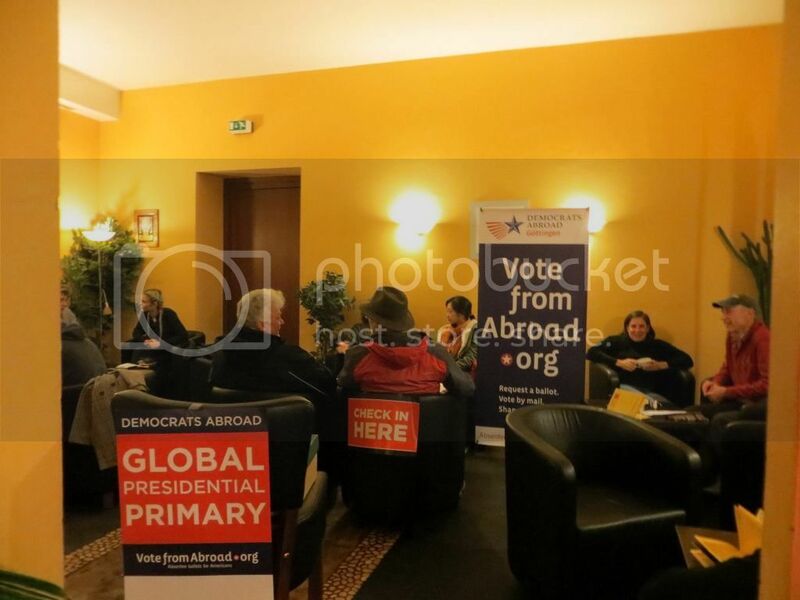 DA Germany reps including current chair Owen Jappen, and past chair Quaide Williams, will be handing out information about becoming active in Democrats Abroad, along with new merchandise available for purchase, and postcards to write to your US Representatives. Next Precinct meeting: Saturday, August 26, 3 PM at X-Trend! 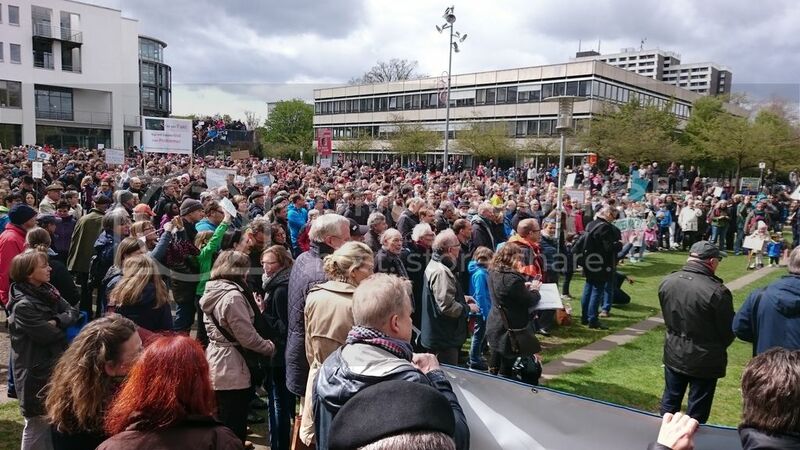 On Earth Day, April 22, a March for Science took place in Göttingen. 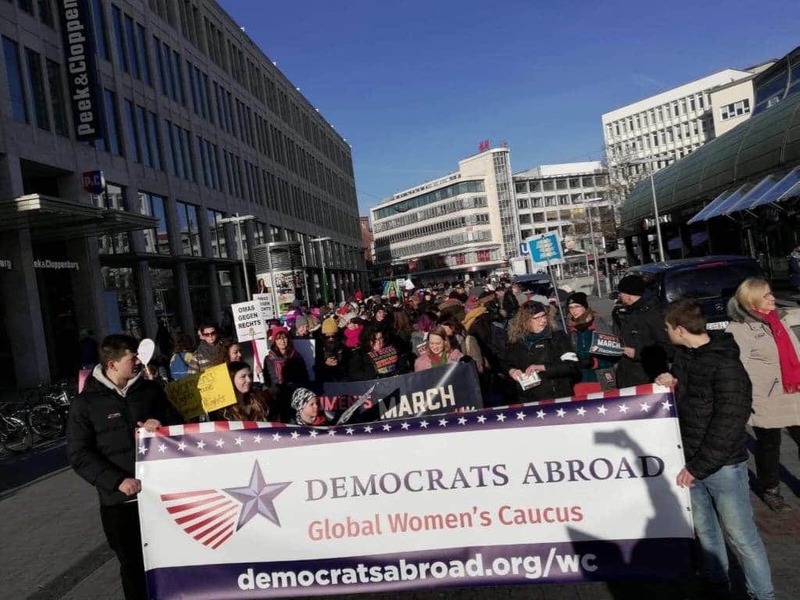 This non-partisan event was supported by a large number of our local Democrats Abroad members who participated in all aspects and encouraged community involvement. We were proud to be involved in supporting the integrity of science on a global level. Guest speakers included: Dr. Ulrike Beisiegel, President of the University of Göttingen; Dr. Gabriele Heinen-Kljajic, Lower Saxony's Minister for Science and Culture; Dr. H. Pinar Senoguz, exiled scientist from Turkey; Pastor Ludgar Gaillard, lecturer on local history; Dr. Arnulf Quadt, director of the II. 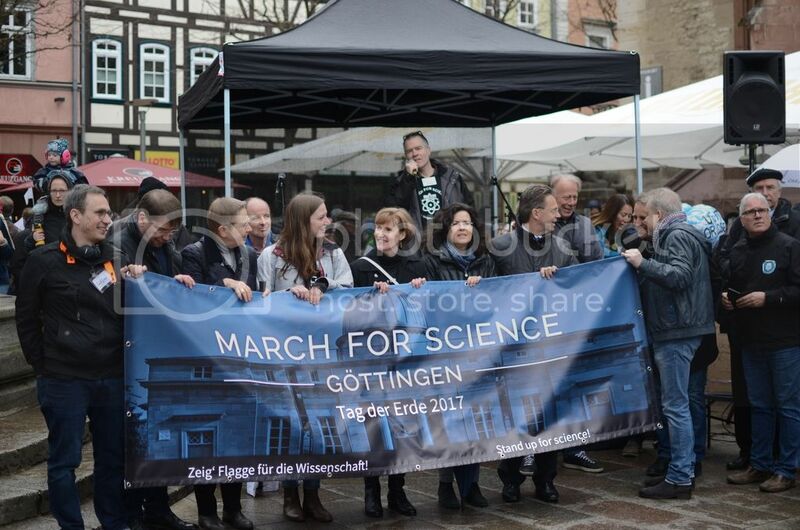 Institute of Physics at the University of Goettingen; as well as event organizers: Anne Marie Bessette, Brian Kearny, and Yuko Maeda. 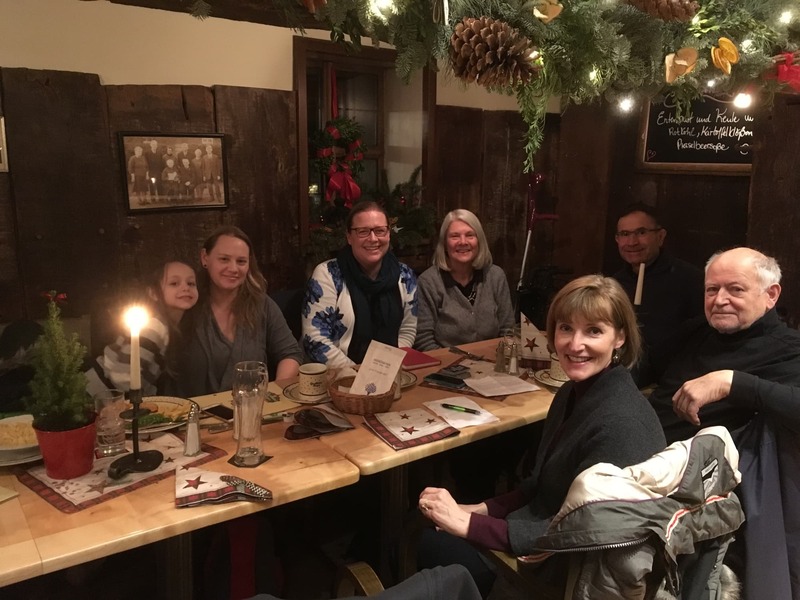 Members of the Göttingen Chapter gathered January 14 for their bi-annual Chapter Chair election, and to thank President Obama for his service in office. Anne Marie Bessette was reelected to a second term as Chapter Chair, and reported on the Chapter's 2016 activities, found below. 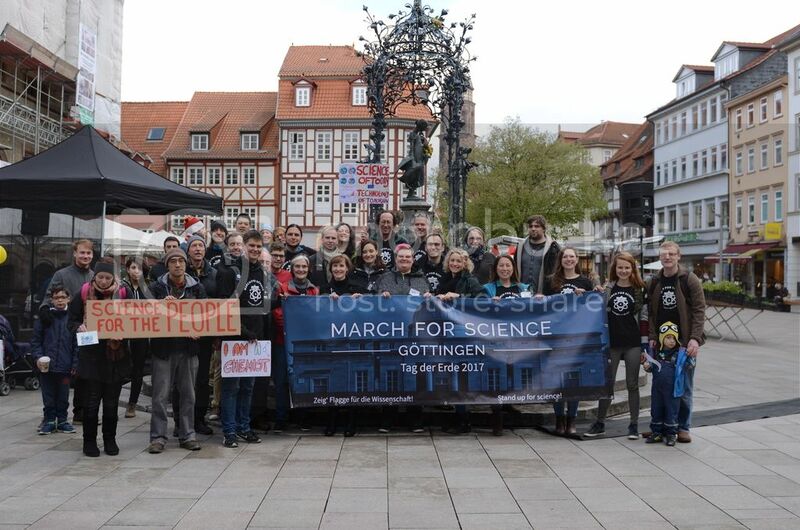 In two weeks the Göttingen Chapter held five events which attracted over 100 people! MANY THANKS to the volunteers and everyone who came out to hear about the candidates, watch the Democrats Abroad Town Hall meeting, and who met in Hannover regarding voting and event planning. 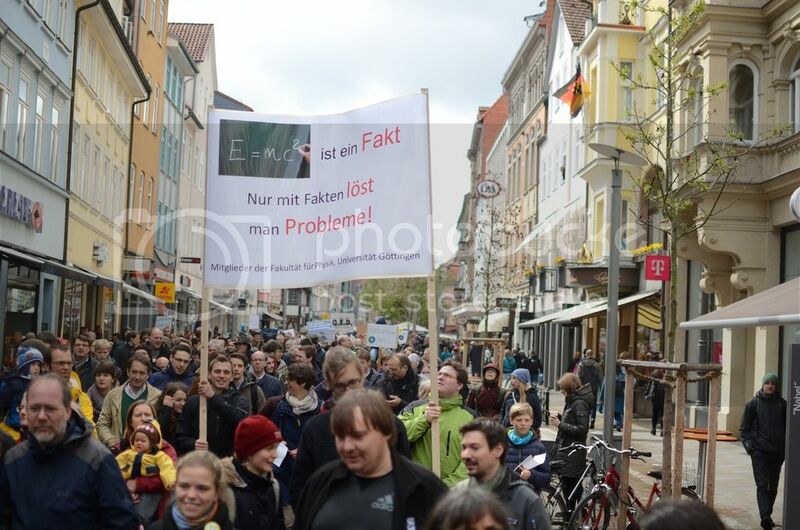 The official polling station in Göttingen was successful and fun, as was the Remote Voting Assistance event in Kassel! 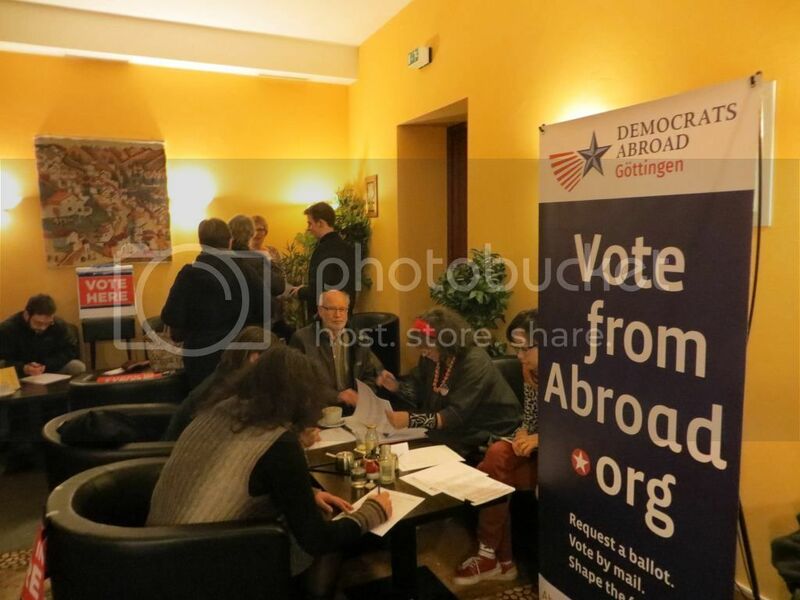 Welcome to Democrats Abroad Göttingen! 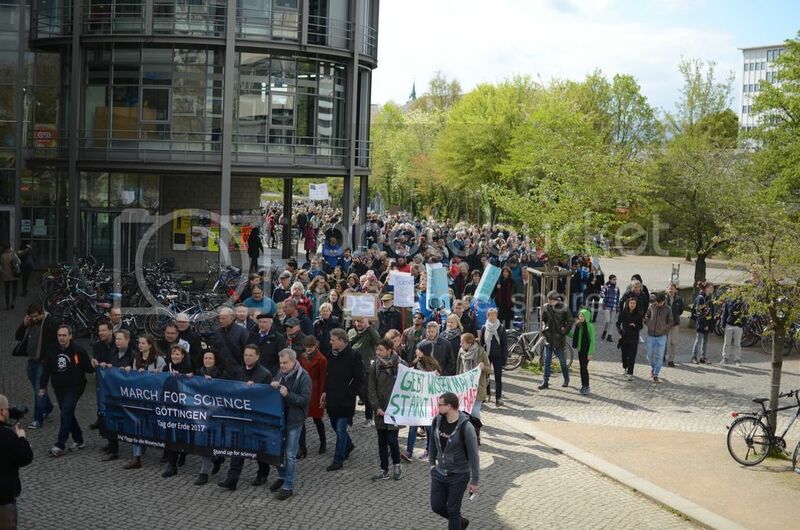 DA Göttingen is a chapter of DA Germany, the official country committee for US Democrats living in Germany. Watch this space for upcoming announcements of meetings and events - we have events planned throughout the year, and encourage anyone interested in participating to get in touch. 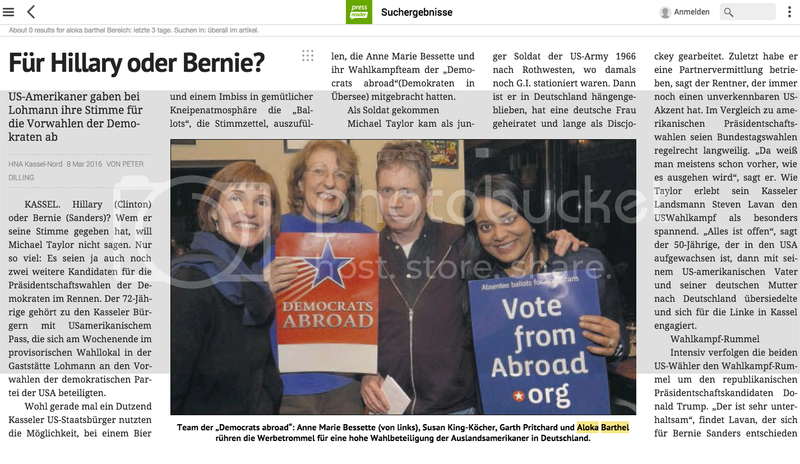 If you have questions or would like to help with Democrats Abroad in Göttingen, please contact us.